#BeCl_2# and #TeCl_2# are both covalent molecules, yet #BeCl_2# is linear while #TeCl_2# is bent. Why? #"TeCl"_2#: The central #"Te"# atom has #6# valence electrons. When the two #"Cl"# atoms bond to the central atom, they each contribute one electron to form two sigma bonds. This leaves #4# electrons on the central atoms in the form of #2# lone electron pairs. This is the VSEPR shape #"AX"_2"E"_2#, a tetrahedron shape with two electron pairs and two atoms, creating a bent molecular shape. #"BeCl"_2#, on the other hand, has #"Be"# as its central atom. Since #"Be"# only has #2# valence electrons, the two sigma bonds formed by the #"Cl"# atoms leave #"Be"# with no lone pairs. 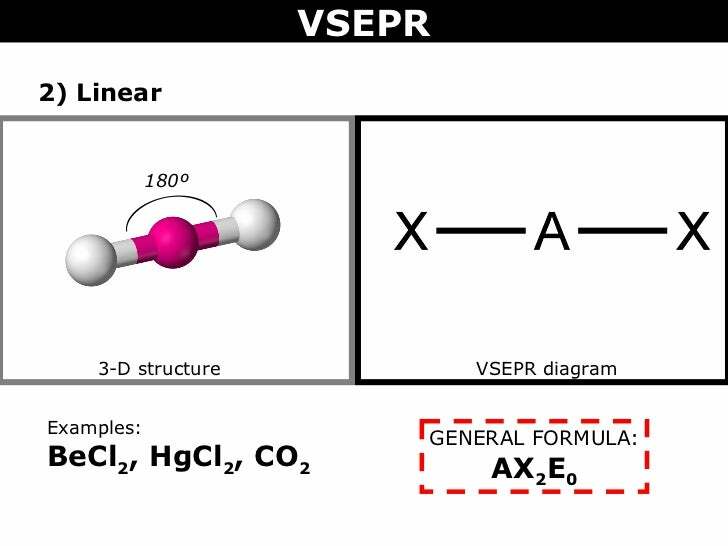 The VSEPR shape is #"AX"_2"E"_0# and forms a linear shape.